Don't Say It Just $12 Down From $17! You are here: Home / Great Deals / Amazon Deals / Don’t Say It Just $12 Down From $17! Don’t Say It Just $12 Down From $17! 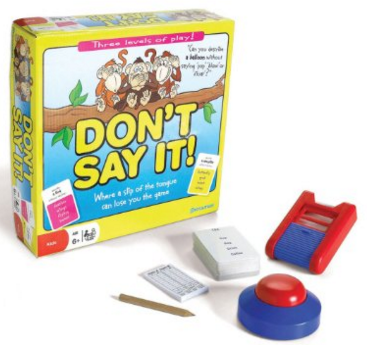 Head over to Amazon and score this fun deal on Don’t Say It for just $12 down from $17! Get yours now while it lasts! Can you get your team to say “pig” – without using the words “sausage””bacon””sty”or “pork”?